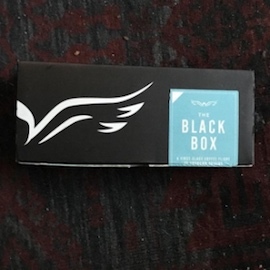 Angels' Cup: The Black Box - Crazy variety, awesome roasters. A first-class coffee flight of unknown origins. Our flagship coffee tasting experience lets you blindly sample up to 208 coffees per year and compare tasting notes with the community. 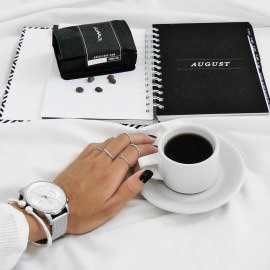 Every coffee in The Black Box is a mystery, until you taste its secrets. 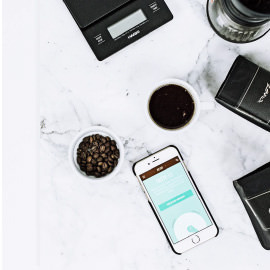 You’ll feel like a mad scientist, preparing these samples in your Chemex, French Press, or even a regular coffee pot. But the real fun comes when you taste them. Your brewing technique might be perfect, but how good are your tastebuds? Only one way to find out, see if you can guess the origin before comparing answers with the roastmaster! 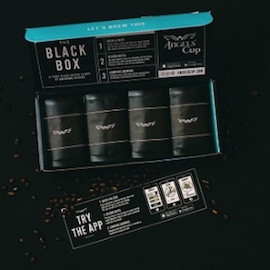 Every Black Box includes four delicious coffee samples. Each sample contains 2.75oz of coffee, 11oz total in a box. Every sample makes 4 mugs of coffee, or two nice Chemexes. Your kitchen looks like a chemistry lab. Most people don't have to ask their spouse if they can buy a new coffee maker. You do. You're "just getting into coffee" and want to finally learn how all the different origins taste. Let us show you the way. Brewing for two? No need to fight over 1oz samples. 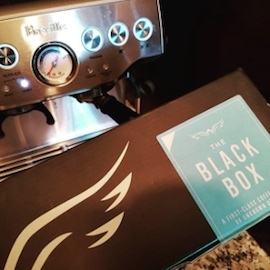 You'll get more mileage with The Black Box.